Borneo is one of the favorite destinations of many travelers who visit Malaysia. I totally agree! 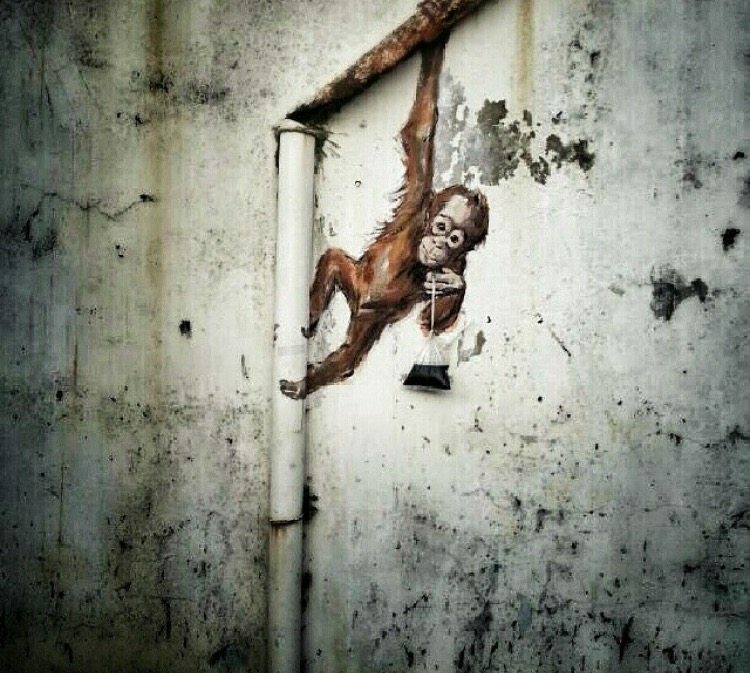 I’ve been to many places in Asia, but Borneo will always have a special place in my heart. 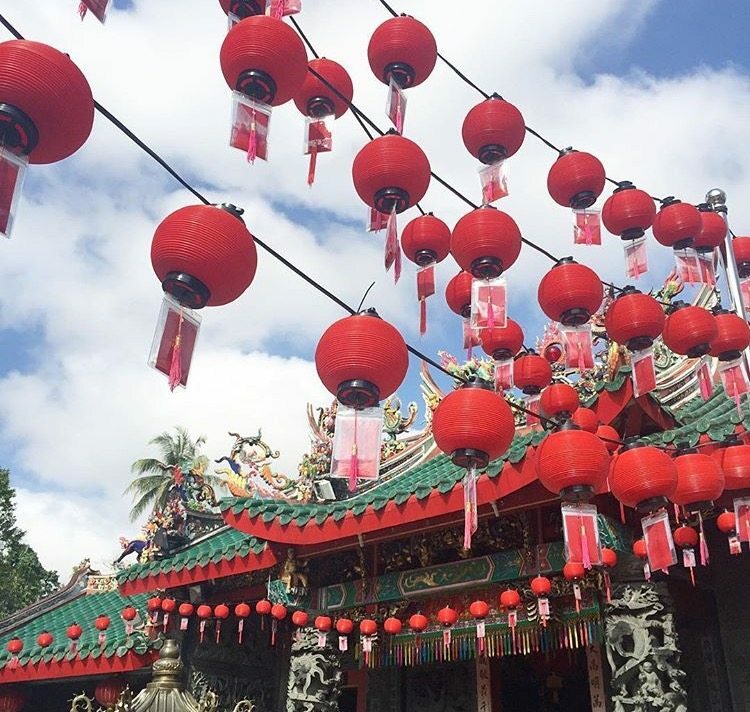 From food, friendly local people to music, nightlife, culture, wildlife and jungle – Kuching has a lot more to offer than many other countries in Asia. Don’t get me wrong, I love to hear the sounds of the sea and the splashing waves, read a book under palm trees, relax and then jump into a swimming pool, but after a week I’m craving for some adventure. Borneo has something for everyone! When I decided to stay for 3 days in Kuching, the the owner of my hostel convinced me to stay at least 5 days since there’s so much more to discover than jungle/wildlife only. He was totally right! I eventually stayed for almost 1 week. 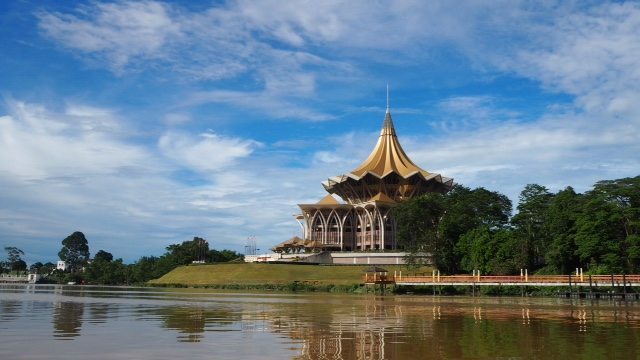 Kuching is the Capital of the Sararawak province. The city is well know for it’s style, culture and natural habitat. It might be a small city but it it’s big in it’s venues. 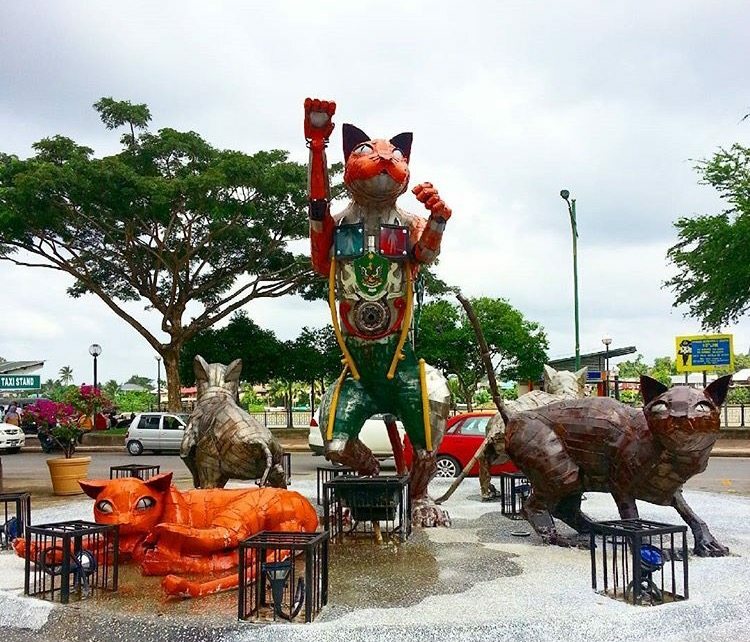 You will see statues of cats everywhere – the city’s name is derived from the Malay word for cat — Kucing. A bit weird in the beginning but you will get used to it. 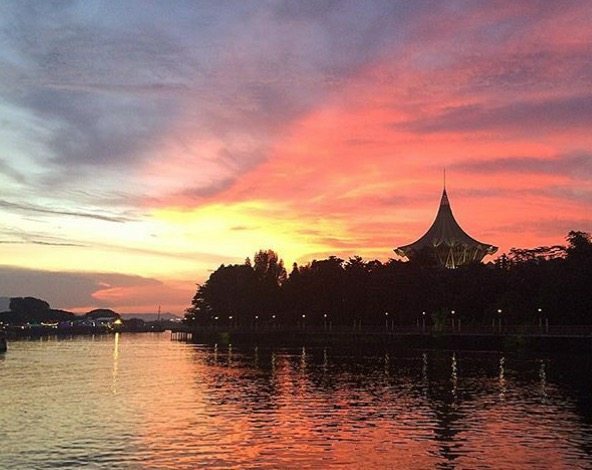 The city of Kuching has a lot to offer. It’s a vibrant and dynamic city with beautiful new and historic buildings with impressive architecture. The locals are very friendly and warm, you feel at home right away. 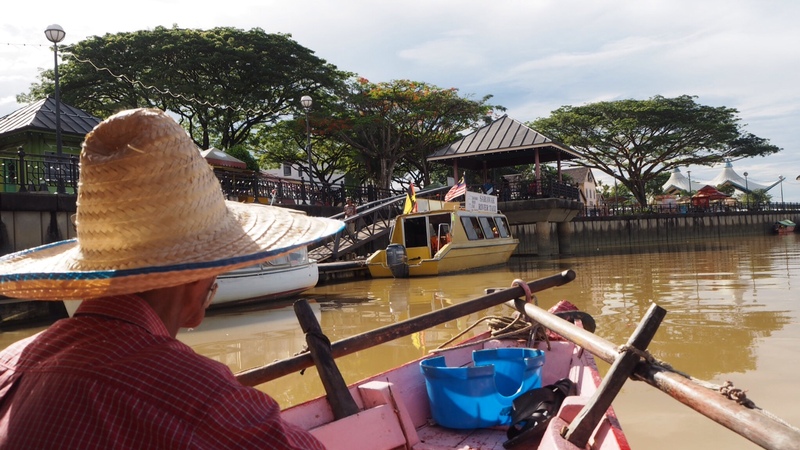 Explore the city by boat along the Sarawak River. The Sarawak River, separating the north and the south called, is the best way to view the city. Relax and take a moment to see the city from another angle. Normally you will pay around RM60 (13 euros) per person when you do a tour via an agency where you share a big boat with at least 15 people. 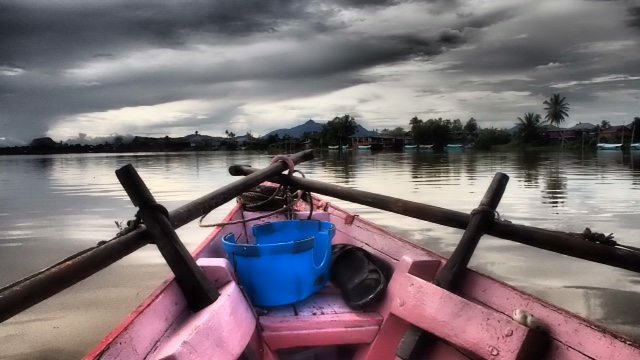 Tip » I took a small taxi boat where the locals travel with. A lot cheaper – RM 30 (6 euro) for two people – you will get a lot more inside info and you will have the boat all for yourself! You will have to negotiate, but my trip took 1.5 hours and the local guy I had was so lovely. Take a breath and enjoy the calm river while sipping a cold refreshing beer. Kuching’s Waterfront Boulevard is great for a walk during the whole day. During the day you see the daily activity on the river where local people using the small ferry boats to travel to and from their homes across the river. There are food with beverages and snacks to eat as you stroll along. In the afternoon/beginning of the evening when the sun sets you will enjoy the beautiful view of the waterfront where locals preform almost every night. 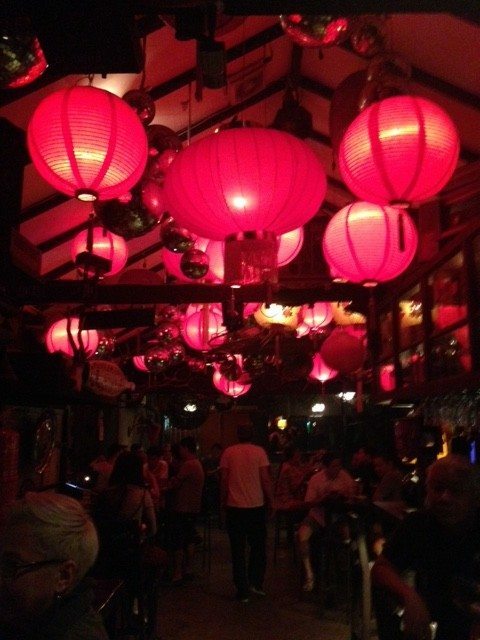 There’s not only a harmonious vibe on the streets but also in different bars and restaurants! 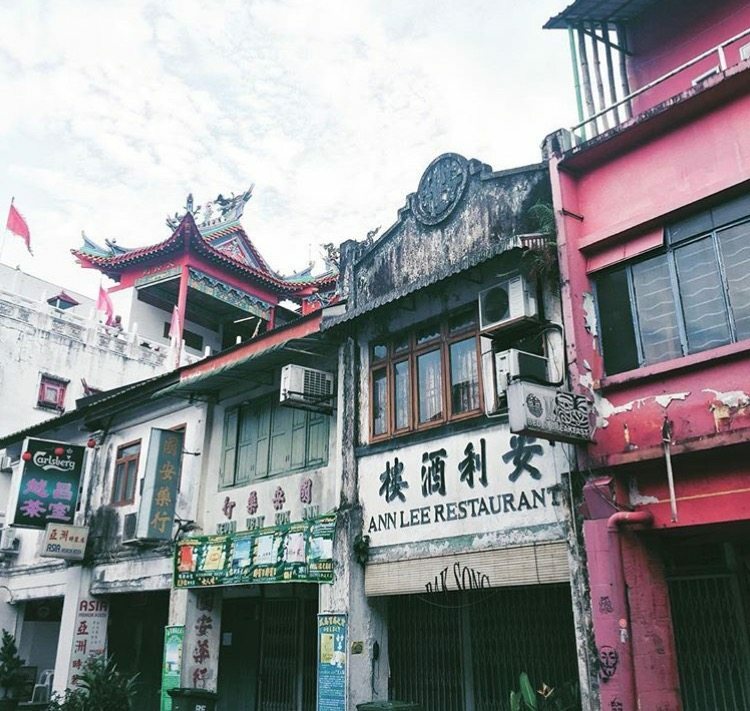 Kuching’s Chinatown is Carpenter Street, marked on its western end by the large Chinese gate officially called the “Harmony Arch”. While there are a few guest houses and lots of restaurants along the road, the area is not very ‘touristy’ at all. Somewhat surprisingly, Carpenter Street still has a few carpenter shops, along with bicycle shops, printers and other small businesses. 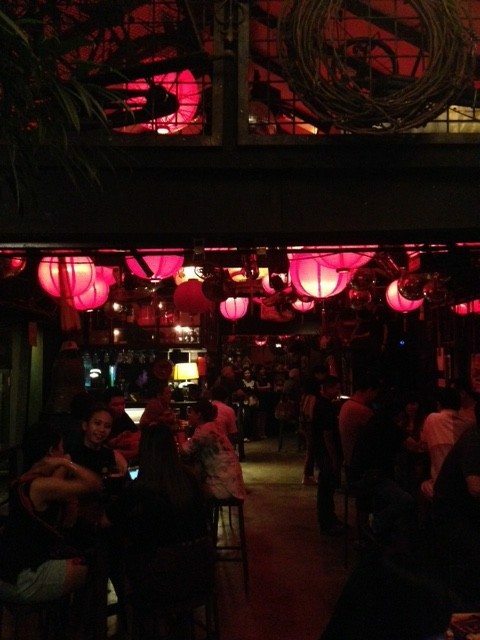 Drunk Monkey Old Street Bar brings a taste of the urban hipster scene to Kuching. Nice ambiance, great beers and music. TIP! 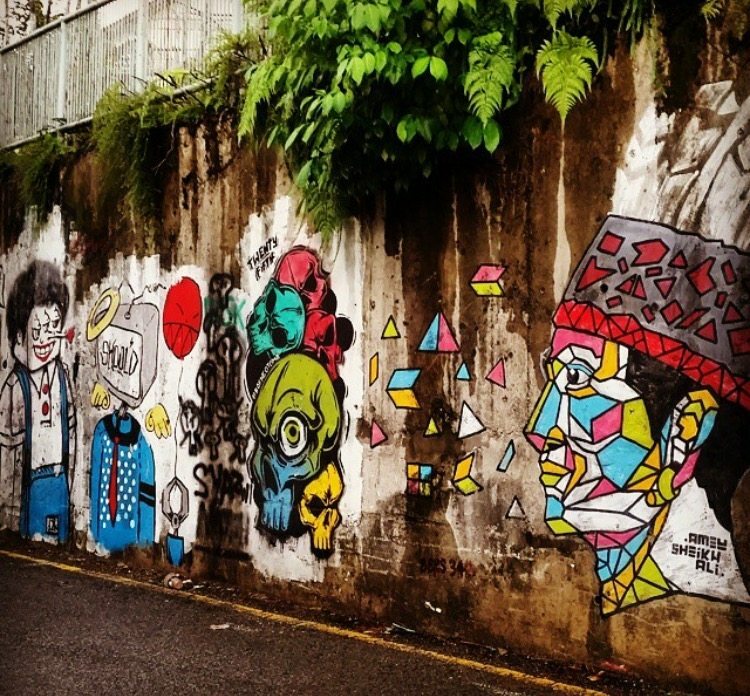 Check out the other side of the bar/terrace – Beautiful street art! If you’re hungry you should definitely check out the authentic Vietnamese restaurant Saigon Fusion. Try the PORK PHO, amazing! The owner Allan Goh know how to surprise people with his excellent food and service! 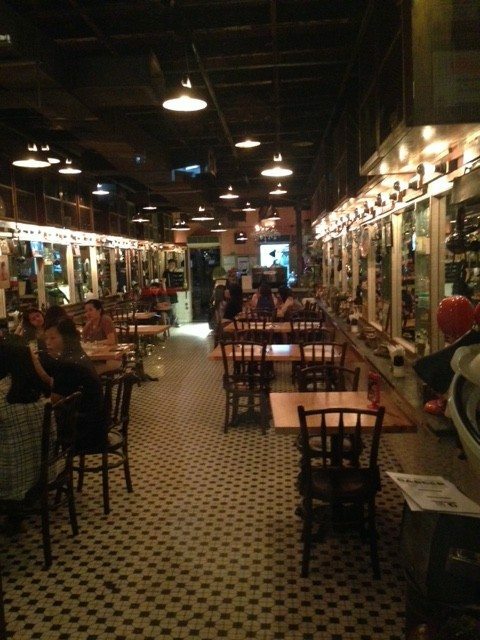 You can also ask the staff of Drunk Monkey Old Street Bar for the food menu, they can get the order for you from this amazing Vietnamese restaurant. Next to the open air market and India street you will see beautiful street art of the talented Lithuanian painter Ernest Zacharovic, famous for his interactive street art in different countries. This was the first time that I’ve ever heard of him and immediately I became a huge fan. 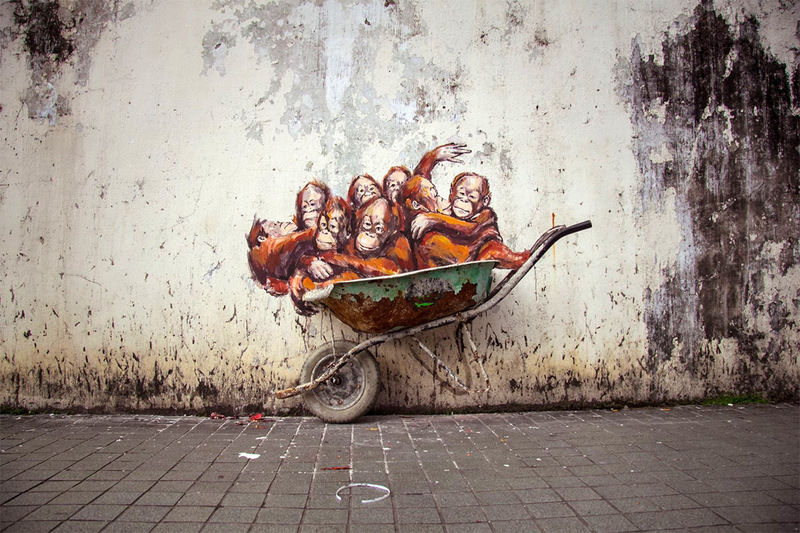 He brings his street art to life and interact with local people by letting them participating in his work. His work is widely shared on social media and I understand why! More of him to come in my next blogpost about George town Penang, Malaysia, where I have seen a lot more of this impressive work. Kuching is a hip and happening place. I never expected Kuching to be so trendy, but it is! 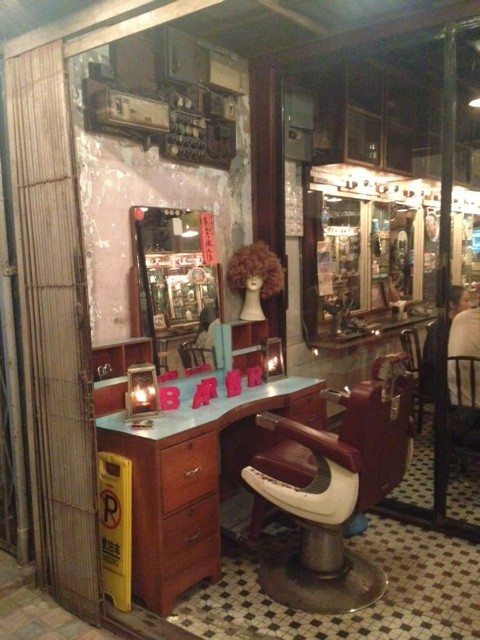 Before an old barber shop with mirrors and barber chairs, became a trendy and chic venue to dine and have cocktails. They serve American style food, like burgers. I hope I have inspired you a bit… More of Malaysia to come very very soon. Adventure doesn’t get more exciting than in Malaysia!